Hot Tuna on Tour w/ Tedeschi Trucks Band in July! 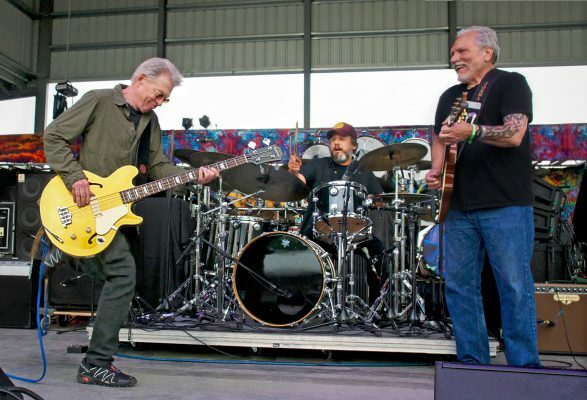 Hot Tuna, featuring Rock 'n' Roll Hall of Famers Jorma Kaukonen and Jack Casady will hit the road this summer, joining the Tedeschi Trucks Band on their Wheels of Soul Summer Tour beginning on July 1st in Gilford, New Hampshire. The Tedeschi Trucks Band's annual summer tour will swing through many of the country’s leading outdoor venues throughout the east coast, midwest, and southwest states. Be sure to catch Hot Tuna during one of the summer's most exciting tours!